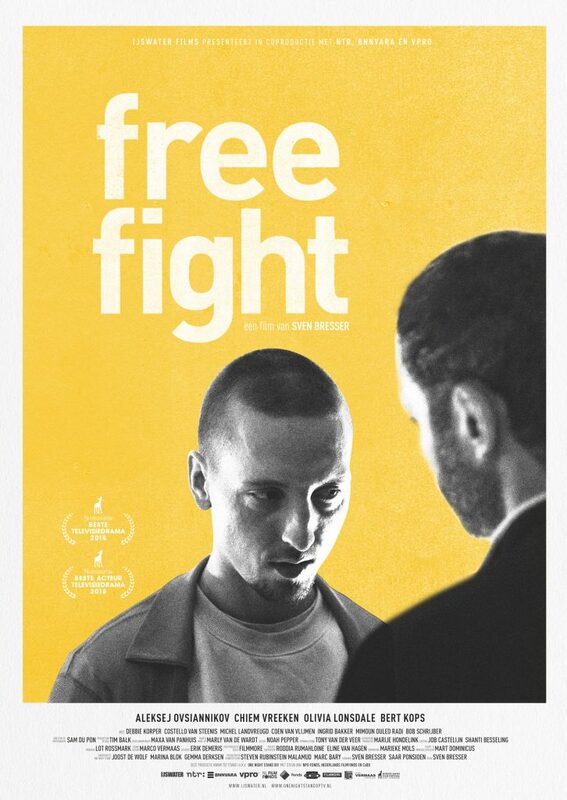 This is the poster of our One Night Stand film FREE FIGHT! The film, directed by Sven Bresser and a co-production with VPRO/NTR/BNNVARA, is nominated for the Golden Calf for Best Televisiondrama and the Golden Calf for Best Actor for Television (Aleksej Ovsiannikov and Chiem Vreeken)! The film had its premiere yesterday at the Netherlands Film Festival.